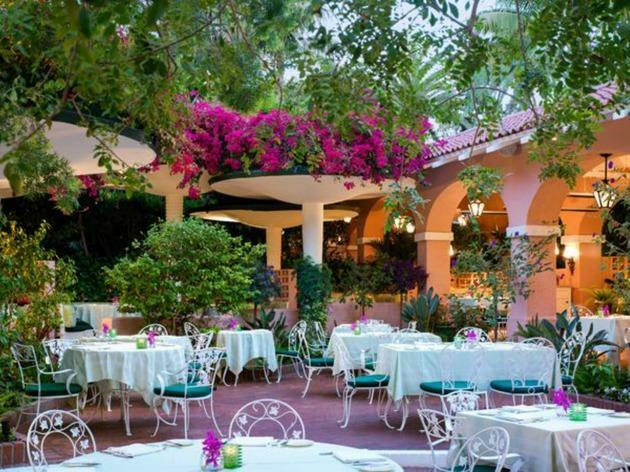 Even if you're not a Hollywood VIP trying to score a deal over your eggs Benedict, you'll probably find your Sunday brunch at The Polo Lounge pretty glamorous anyway. 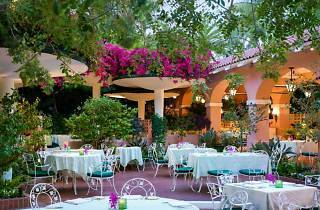 Alright, it is a little on the cheesy side (spotless white tablecloths and live jazz music), but there may be no finer place to enjoy lemon ricotta pancakes or frittata than on The Polo Lounge's beautiful outside patio. But if you're not really a "brunch person", rest assured that this place truly caters to all: breakfast, lunch, and dinner are also served daily, and if you're dining solo, a waiter will be happy to give you a copy of Variety or The Hollywood Reporter to read while you eat. For late night libations, the bar serves up a hefty cocktail list to a dressed up crowd—you'll be sure to spot some famous faces here—listening to the live piano. For the perfect nightcap, try the delectable Polo Lounge chocolate soufflé.